If I'm honest Concealer has never been one of my favourite steps in my makeup routine, although it is an absolute necessity, without it I would look like a walking zombie. 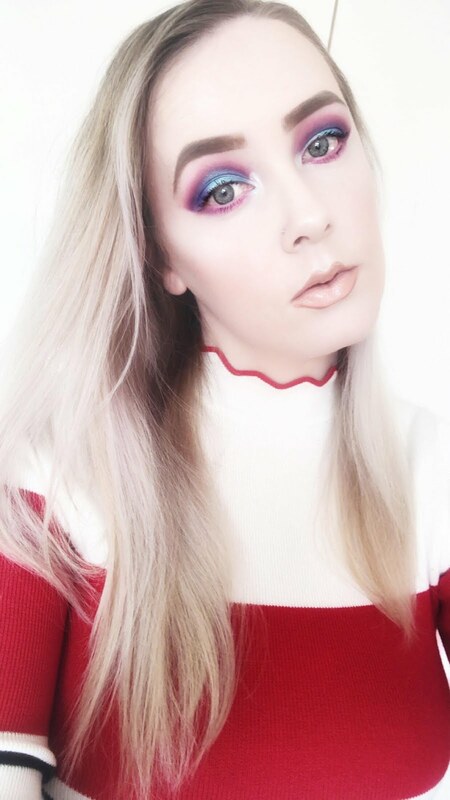 I tend to use different concealers on different areas such as my under eyes and on various parts of my face to cover any imperfections I may have. Although I do have quite a selection of concealers in my stash I tend to reach for just three right now. Surprisingly only one of them is high end and the other two are drugstore. 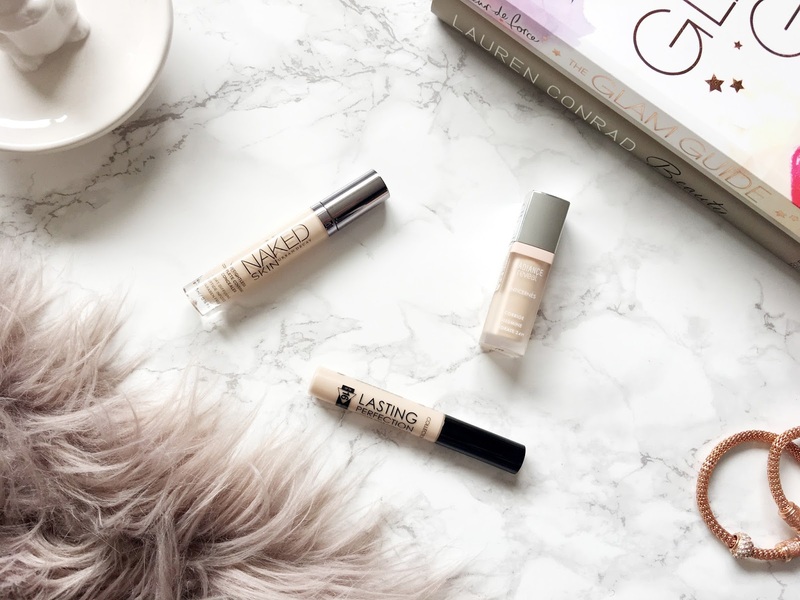 When it comes to looking for the 'perfect concealer' I like to look for four particular things; the shade, coverage, texture and blendability. For the under eyes I like something that is one shade lighter than my skin tone so something that is considerably cool or neutral toned. I also don't like anything too thick as it creases and settles into fine lines easily so a concealer with a light to buildable coverage is a must. When it comes to disguising my flaws of course I like to have a lot more coverage, preferably medium to full, but with a creamy formula. I'm not fussy, I promise. I guess you could say I'm rather particular about what I like. From the high end is the Urban Decay Naked Skin Concealer(£19). 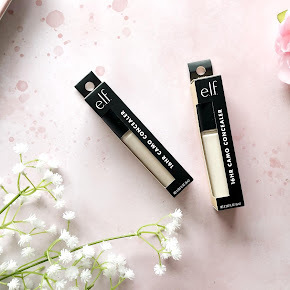 I have raved about it many times before as it's pretty much a 'do it all' kind of concealer as it's light enough to use under the eyes but also has enough coverage to conceal any imperfections that I have such as spots and acne scarring. You don't need to apply too much concealer as just one layer is enough to cover it all. 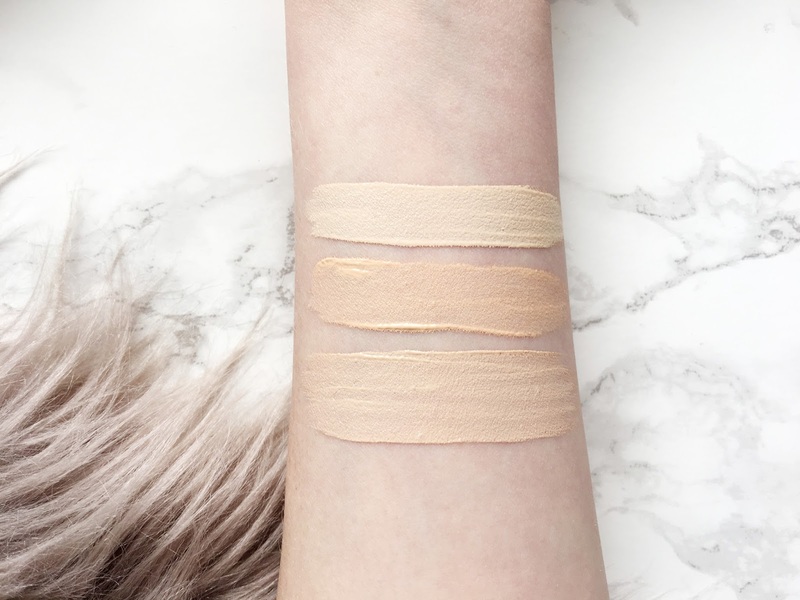 I have the shade Fair Neutral which is light enough for my skin tone as well which is a huge plus as many concealers I have tried previously seem to lean more towards the warmer end of the spectrum. It also has a wonderfully light, creamy formula too which makes blending a breeze too. 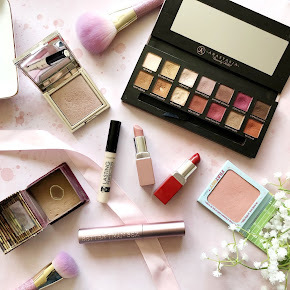 Of course it doesn't exactly come cheap with it being from the higher end of the beauty market but in my opinion it is totally worth it. One that I have used for so many years is the Collection Lasting Perfection Concealer(£4.19). It is the most affordable concealer I have used, costing just under £5. 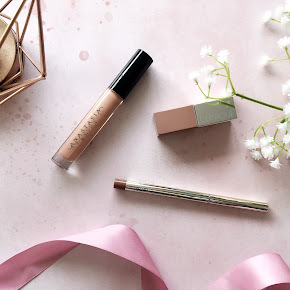 I have the lightest shade, Fair 1 which is pretty much a perfect match to my skintone but there's also another three shades in the range for medium-warm skintones too. 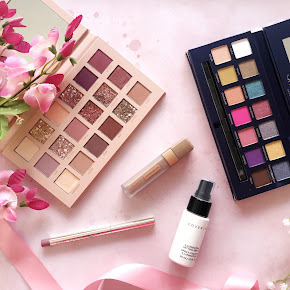 Unfortunately it isn't one for the under eyes as it feels slightly too thick and it creases quite badly underneath but due to the high coverage it does a fantastic job of covering up redness, acne scarring and spots. It lasts quite well too, although I can't be sure if it lasts up to it's claims of 16 hours as I never wear makeup for that long. It does last at least a good 8 hours though which is pretty impressive for the drugstore. Last but certainly not least is the Bourjois Radiance Reveal Concealer(£7.99). It was my favourite discovery last year. It is slightly lighter in coverage and texture to the other two which is what makes it a dream to use under the eyes. It is so brightening, but not only does it illuminate and make me look more awake, it also adds a tonne of hydration which is down to the Mont Blanc glacier water and hyaluronic acid within the formula. Again I have the lightest shade(yep, I'm as pale as they come) which is Ivory. It has a slight yellow undertone which I find to be great for neutralizing the blue and purple tones in the under eye area. 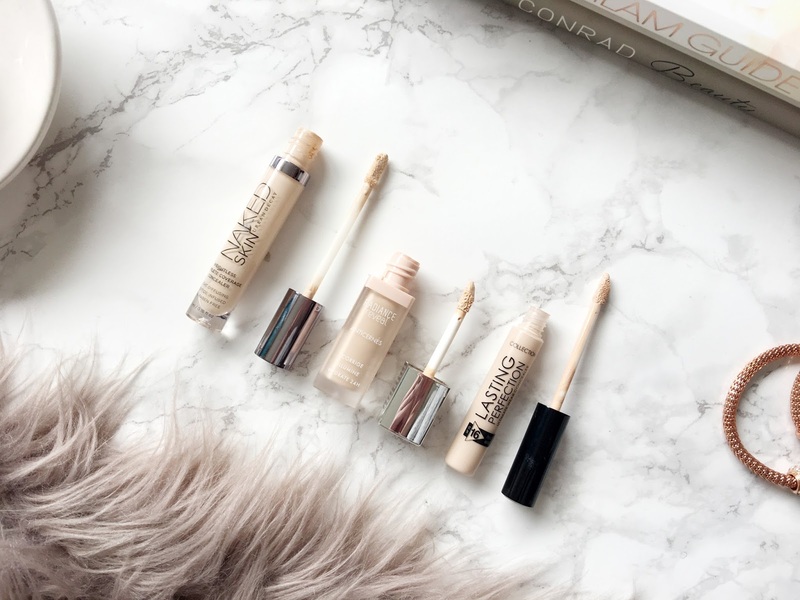 Have you tried any of these concealers before? Also, what are your favourite concealers? I'd love to know!